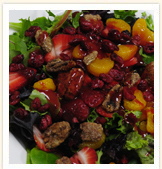 Dominick's is Orlando's best place to go for hot and healthy meals for take out or dine-in. A combination of our fresh ingredients, award winning chefs and excellent attention to detail make us one of Orlando's best choices for healthy meals. We have lunch and dinner specials that change daily starting at only $5.99. 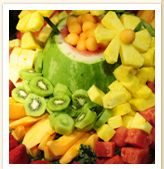 Dominick's also offers the Orlando area catering for just about any occasion. 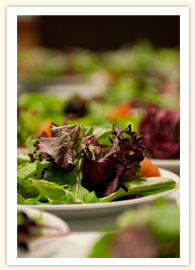 There is no Orlando Catering event too big or too small for Dominick's Catering. Come in today and see what you've been missing, or call ahead and choose our Curbside Pickup option and we'll have your meal ready for you as soon as you pull up. 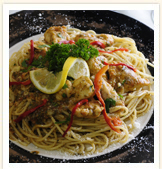 One of our most popular dishes and Dom's favorite make this dish a must try. 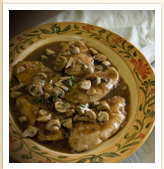 Fresh Chicken Breast sautéed with hand picked mushroom in a delicious marsala wine sauce. Only $8.99. Meet the people behind the success of Dominick's. From our Executive Chef to our General Manager. Without them we would not be able to bring you the quality of food, customer service and on time delivery of our great meals. Happy Hour and Early Bird Specials from 4-6PM!